In the Bharatiya Janata Party (BJP)’s scheme of perfect things, this morning’s headlines ought to have hailed its 10 per cent masterstroke on reservations passed in the Lok Sabha with “329 votes in favour and just three against’ as The Indian Express writes. Alas, that did not come to pass. The Supreme Court topped it. It is always in the news and today is no different. 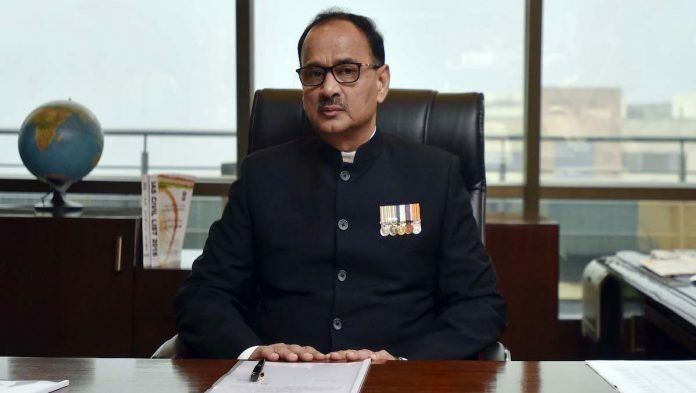 It made headlines for two reasons: its reinstatement of erstwhile Central Bureau of Investigation (CBI) director Alok Verma to his rightful place and the appointment of a 5-judge bench to hear the Ayodhya cases. The newspapers declared the top court verdict a victory for Verma but were not celebrating because it “clips his wings”, writes The Hindu’s front page. Hindustan Times declares, “Verma wins CBI vs CBI”, despite the “curbs on powers”, as The Indian Express writes. With only a few weeks of his tenure left, “Verma’s fate hinges on the decision of (the) committee comprising Mr. Modi, Chief Justice of India Ranjan Gogoi and Congress MP Mallikarjun Kharge, as Leader of the Opposition”, explains The Hindu. The government hastily passed both the Citizenship Amendment Bill and the 10 per cent quota Bill in the Lok Sabha. The latter, called the Constitutional (124th Amendment) Bill, was passed with “329 votes in favour and just three against,” writes Express with even the headline saying it all: all political parties were obliged to support the bill, despite their own reservations. TOI flags how the Bill was passed with “unprecedented speed”. Protests and violence didn’t stop the Lok Sabha from passing the deeply controversial amendments to the Citizenship Act, which the Assamese, in particular see as a betrayal of the 1985 Assam Accord. If passed into law, the Act will now grant citizenship to “illegal immigrants” from non-Muslim communities living in India. CJI Ranjan Gogoi has decided to resume the Ayodhya land dispute hearing. The first hearing will be Thursday. Gogoi has constituted a 5-judge bench for the case. “The decision left many wondering how the CJI could have assigned the case to a five-judge bench ignoring the order by a three-judge bench,” writes TOI in its lead report. Absent: Tens of thousands of trade union workers had taken to the streets in a nationwide strike, but this finds no place on the front pages despite running for a second day. Protestors are rallying against anti-worker policies put in place by the Central government. Prime-time television had enough news to keep it arguing for evenings to come: the Supreme Court order on CBI director Alok Verma, the passage of the Citizenship Bill in the Lok Sabha amid Opposition protests and the new 10 per cent reservation bill passed by the Lok Sabha. Many channels, especially, Hindi news chose to stay with the LS debate on the latter till it was passed late at night. Others like Times Now, India Today, ABP, India TV talked around the Opposition’s “jumla”: compelled to support the reservation bill, they didn’t raise enough relevant arguments against it. Perhaps India Today summed it up best: “Sabka quota”. On Aaj Tak anchor Anjana Om Kashyap asked the question everyone wanted to ask and knew the answer to: why did the BJP suddenly want to try to uplift the economically weaker section of the upper castes. Kashyap then asked Rajiv Tyagi why the Congress president was not present in Parliament when such an important issue was being debated. Tyagi had no answer: he spoke about reservation in the context of employment, which is at an all time low with few new investments. All the money is going to the Ambanis, he alleged. With much jumla about reservation, Republic TV anchor Arnab Goswami chose to look elsewhere for a headline: he interviewed Union Defence Minister Nirmala Sitharaman about the Rafale deal. When asked about the Congress demand for a joint parliamentary committee on the deal, Sitharaman said, “The problem with the JPC is- the SC has gone through the deal, and they have clearly come out and said that there are no problems.